If you have just received your 23andMe® reports, you may be wondering where to start. After all, there is a lot about you that makes you unique. In this article you will find a brief introduction to the reports provided by 23andMe and other key information to help you get started exploring your genetics. If you are new to the world of genetics or it has been a while since your last genetics class, you can review a few concepts about genetics in our Tutorials. How to set your profile information (applicable to Health + Ancestry Service profiles only). How to print a summary of your reports. The 23andMe report categories and the information each category provides. The limitations of the reports (applicable to Health + Ancestry Service profiles only). See list of navigational links. Reminder: If you purchased the Ancestry Service, you will not see reports on carrier status*, health predisposition*, wellness or traits in your account. After you receive an email announcing “Your reports are ready”, you will need to log in to your online 23andMe account using the email address you provided during the registration process—this is the same email address used to announce that your data was ready. 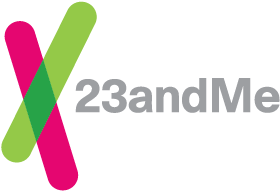 Your 23andMe reports and our interactive features are only accessible from within your account. Take me to the Sign In page. This section is applicable to the Health + Ancestry Service. After you have successfully logged into your account, you are asked to supply your ethnicity. Our Carrier Status* reports explain your results in the context of your ethnicity. Some associations between genotype and phenotype are better studied in certain populations and are most applicable to people of a particular ethnic background. If a genetic condition or trait has been studied in your ethnicity, our reports may provide more detailed information for you. As new scientific studies are published, we’ll continue working to expand our tests to include variants applicable to more ethnicities. You can review or edit your ethnicity information at any time from within your account. We do not use your self-reported ethnicity information to compute your Ancestry Composition. Take me to the page where I can review or edit my ethnicity information. You will be asked to choose whether you would like to include or exclude all Carrier Status* and Health Predisposition (including Genetic Health Risk) reports*. Our health reports provide information about genetic risks for health conditions that could be relevant for you, your future children, and potentially other family members. Deciding whether or not you want to learn about these risks is a personal choice. You have control over what types of information you would like to see and can choose to exclude certain reports that you may not want to view. You can review important information about our Genetic Health Risk* and Carrier Status* reports. If you choose to exclude these reports, you can choose to include them at a later time from within your account settings. You will also have the choice to remove these reports from view at a later time, however, please remember that once you have viewed your genetic information, the knowledge is irrevocable. It is important to note that reports on wellness and traits are always visible for profiles that purchased the Health + Ancestry Service. The Late-onset Alzheimer’s Disease* Report, Parkinson’s Disease* Report, and BRCA1/BRCA2 (Selected Variants)* Report require you to make an additional choice after you have agreed to receive health reports. If you tend to feel anxious or have ever been diagnosed with anxiety or depression, you may have more emotional difficulty with these reports. To learn more about the disease and report, click the “Learn more” link next to the title of the report on the reports configuration page. To print a summary of your reports, simply login and select either Health or Ancestry from the top navigation menu. Next, click on All Reports from the dropdown menu, then click on the Report Summary button in the upper-right corner. You can explore what your DNA says about you in the 23andMe Reports—accessible by selecting Health or Ancestry options from the top navigation bar or the side panel of your homepage. The categories of reports available to you depend on your service type—Ancestry Service or Health + Ancestry Service. Learn more. 23andMe offers five categories of reports—Ancestry, Carrier Status*, Health Predispositions*, Wellness, and Traits. Explore what your DNA can tell you about your origins and your ancient ancestors with our Ancestry reports. In your DNA, we can find genetic traces of where your ancestors lived throughout history. The Ancestry Composition report estimates what percent of your DNA comes from each of 45 populations worldwide, reaching back about 500 years. It also tells you about your connection to over 115 Recent Ancestor Locations, which are specific countries where one or more of your ancestors likely lived within the last 200 years. Both of these analyses look at DNA you inherited from ancestors on both sides of your family. Learn more. Take me to my Ancestry Composition report. The Haplogroup reports can shed light on the origins of some of our ancestors and on their migrations over tens of thousands of years. Your maternal haplogroup assignment tells you about your maternal-line ancestors, from your mother through her mother and beyond. If you are male, your paternal haplogroup tells you about your paternal-line ancestors, from your father to his father and beyond. Haplogroups are assigned by detecting certain genetic variants unique to each haplogroup. Learn more. Take me to my Haplogroups report. The Neanderthal Ancestry report tells you if parts of your DNA can be traced back to Neanderthals. Neanderthals were ancient humans who interbred with modern humans before becoming extinct 40,000 years ago. Learn more. Take me to my Neanderthal Ancestry report. The Your DNA Family report tells you about the diverse group of 23andMe customers who have DNA in common with you and how many these DNA Relatives you have around the world. Learn more. Take me to Your DNA Family report. The 23andMe Carrier Status* reports tell you about variants that may not affect your health, but could affect the health of your future family. Being a "carrier" means you "carry" one genetic variant for a condition. Carriers do not typically have the genetic condition, but they can pass a genetic variant down to their children. Understanding your carrier status helps you work with your doctor to prepare for the health of your future family. Take me to my Carrier Status reports. The 23andMe Health Predisposition* reports help you learn how your genetics can influence your chances for certain diseases. This category includes FDA-authorized Genetic Health Risk* reports which tell you if you have genetic variants associated with an increased risk of developing certain health conditions - such as Late-Onset Alzheimer's Disease* or Parkinson's Disease*. While having a particular variant can be linked to a higher risk for a condition, it does not necessarily mean you will develop the condition. It is important to remember that these reports do not cover all possible genetic variants that could influence risk for these conditions and that other non-genetic factors, such as environment and lifestyle, can also influence risk for these conditions. Take me to my Health Predisposition reports. The 23andMe Wellness reports can help you make more informed choices that may relate to healthy living. Find out why some people may weigh more than others on diets that are high in saturated fat. You can also learn how your DNA may influence your caffeine consumption, lactose digestion and your muscle type. Take me to my Wellness reports. Our Traits reports are a fun way to explore how your DNA makes you unique, from your food preferences to physical features. Take me to my Traits reports. You will receive the Ancestry reports—Ancestry Composition, Haplogroups, Your DNA Family, and Neanderthal Ancestry. You will also have access to interactive features to share, compare and discover more with friends and family—including the optional DNA Relatives feature. Customers who purchased the Ancestry Service will be able to add all of the existing Carrier Status*, Health Predisposition*, Wellness and Traits reports later for an additional fee. Learn more. Take me to my reports. You will receive 125+ reports on carrier status*, health predisposition*, wellness, traits and ancestry. You will also have access to interactive features to share, compare, and discover more with friends and family—including the DNA Relatives feature. No, 23andMe reports do not diagnose any health conditions or provide medical advice. The 23andMe Carrier Status reports can tell you if you have specific genetic variants that you could pass on to your future children, from saliva collected using a collection device (Oragene DX model OGD.500.001). Carrier Status tests are not intended to diagnose a disease, or tell you anything about your risk for developing a disease in the future. Each Carrier Status report is most relevant for people of certain ethnicities. On their own, these tests are not intended to tell you anything about the health of your fetus, or your newborn child’s risk of developing a particular disease later in life. The 23andMe Health Predisposition reports help you learn how your genetics can influence your chances of developing certain health conditions. This category includes FDA authorized Genetic Health Risk* reports. The 23andMe Genetic Health Risk reports tell you if you have genetic variants that are associated with an increased risk of developing certain health conditions but does not report on your (a user’s) entire genetic profile. While having a particular variant can be linked to a higher risk for a condition, it does not necessarily mean you will develop the condition. It is important to remember that these reports do not cover all possible genetic variants that could influence risk for these conditions and that other non-genetic factors, such as environment and lifestyle, can also influence risk for these conditions. Consult with a healthcare professional if the condition runs in your family, you think you might have the condition, or you have questions about any genetic or nongenetic risk factors you may have. The 23andMe Wellness reports make connections between your DNA that may relate to healthy living; however, other genetic and nongenetic factors may affect whether or not you display a specific trait. Consult with a healthcare professional before making any major lifestyle changes. The 23andMe Trait reports make connections between your DNA and your features and characteristics. It is important to keep in mind that although these reports predict your genetic chances of having a trait, many other factors can influence your actual traits. Receiving "Variant not determined" or "Result not determined"
In some cases, we are not able to provide a result for a particular report. If results cannot be provided for a report, you will see “Variant not determined” or “Result not determined”. If you are seeing this result, our algorithm may not have been able to confidently determine your genotype. All genetic markers used in our reports are evaluated for high data quality and accuracy. Occasionally, a person's data may not allow us to determine his or her genotype confidently at a particular marker. Some “not determined” variants are expected in the raw data and not a cause for concern. It is important to keep in mind that our tests do not diagnose any health conditions. To understand what your genetic results mean or to better understand the limitations of the report, navigate to the Frequently Asked Questions section of the report. This section is located near the top of each report. *The 23andMe PGS test uses qualitative genotyping to detect select clinically relevant variants in the genomic DNA of adults from saliva for the purpose of reporting and interpreting genetic health risks and reporting carrier status. It is not intended to diagnose any disease. Your ethnicity may affect the relevance of each report and how your genetic health risk results are interpreted. Each genetic health risk report describes if a person has variants associated with a higher risk of developing a disease, but does not describe a person’s overall risk of developing the disease. The test is not intended to tell you anything about your current state of health, or to be used to make medical decisions, including whether or not you should take a medication, how much of a medication you should take, or determine any treatment. Our carrier status reports can be used to determine carrier status, but cannot determine if you have two copies of any genetic variant. These carrier reports are not intended to tell you anything about your risk for developing a disease in the future, the health of your fetus, or your newborn child's risk of developing a particular disease later in life. For certain conditions, we provide a single report that includes information on both carrier status and genetic health risk. Warnings & Limitations: The 23andMe PGS Genetic Health Risk Report for BRCA1/BRCA2 (Selected Variants) is indicated for reporting of the 185delAG and 5382insC variants in the BRCA1 gene and the 6174delT variant in the BRCA2 gene. The report describes if a woman is at increased risk of developing breast and ovarian cancer, and if a man is at increased risk of developing breast cancer or may be at increased risk of developing prostate cancer. The three variants included in this report are most common in people of Ashkenazi Jewish descent and do not represent the majority of BRCA1/BRCA2 variants in the general population. This report does not include variants in other genes linked to hereditary cancers and the absence of variants included in this report does not rule out the presence of other genetic variants that may impact cancer risk. The PGS test is not a substitute for visits to a healthcare professional for recommended screenings or appropriate follow-up. Results should be confirmed in a clinical setting before taking any medical action. For important information and limitations regarding other genetic health risk reports and carrier status reports, visit https://www.23andme.com/test-info/.